Boiler Replacement Cost: How Much To Replace A Boiler? Back-boilers are usually installed next to the fireplace in the house and can heat and supply hot water through the house without the need of a traditional boiler taking up valuable space. Back boilers have been manufactured since 1966 and are known to be the most compact boilers available in the market. Back boilers were a lot cheaper to buy and install when they first came to the market, so they were considered a good investment. Back boilers are popular in the UK too, thanks to their simple design, build and durability. Improved heating effectiveness of stoves by absorbing excessive or unwanted warmth. Prevent the loss of heat from the flue system. Oil-fed stoves with back boilers are highly efficient (up to 80%). Cheaper to replace if you already have one. Expensive to run and not very efficient as other modern boilers. Difficult to install because of new building regulations. High risk of leaking fumes into your premises. Takes up valuable space as it is required to place a tank in the loft and a hot water cylinder in the airing cupboard. Limited choice of fire front. Can be a little noisy. The units are droughty and require a permanent air vent. Baxi Bermuda Back Boilers provide a ready-made solution and are the only boiler brand to release a modern condensing back boiler. Baxi Bermuda has revolutionized the replacement of old back boilers as there is no more the need to relocate the boiler which results into saving hundreds of pounds. It is also estimated that a Bermuda Back Boiler will reduce your annual bills by £235. It is more efficient than old one and has a SEDBUK A efficiency rating. Baxi Bermuda Back Boilers has a 15 KW heat output and has a room sealed appliance removing the need for air vent. The life of the Baxi Back Boiler is expected to be 10 years, which is less than older, less technical back boiler. 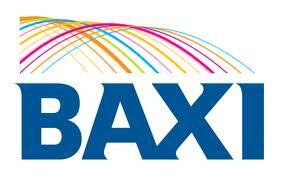 The price of the new Baxi Bermuda BBU HE start from around £1,000. There may be additional installation costs sometimes, if it is required to install a new chimney liner or if it is difficult to access the boiler. 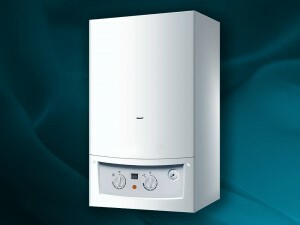 The common rule is that the cost of a back boiler installation is higher than the one for a combi boiler. Many old back boilers nowadays are being with the combi boilers, which are more efficient than back boilers. 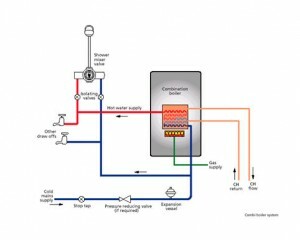 A combi boiler heats a home`s hot water and provides central heating at the same time. Given that a combi boiler doesn`t have a hot water cylinder it is more compact unit and therefore it helps save space. The Installation costs of combi boiler are generally lower than installing a Baxi Bermuda Back Boiler because it hangs on the wall, making it a lot easier for a heating engineer to install one. A combi boiler installation will cost on average £500-£600, however prices can vary a little depending on the boiler model and whether you are replacing your radiators or not. Prices of combi boilers vary from £600 to £2,000 depending on the make and model of the combi boiler you will decide to go for. However, the total costs to invest for supply and installation of combi boiler will be on average from £1,200 up to £2,600. Reliability: Combi boilers are less reliable than back boilers. Durability: Combi boilers do not last as long as back boilers, so at some point you will need to repair them extensively or replace them. Back boilers can last over 10 years, if they are services property and regularly. Keeping your old back boiler – Is worth it? An old back boiler is durable. It will last a lot longer than the modern boiler, especially, if the boiler has serviced regularly. The simple technology means less problems. It won´t be as energy efficient as the modern boiler. If you appreciate more durability than efficiency, keeping your old back boiler is the only option for you. In terms of prices and cost of savings you will save your money in the long run. A back boiler as well as well as other types of boilers requires regular maintenance. Even back boilers are durable there can be situations, when you have to repair it. It is good to know, that the government has set regulations requiring boilers to meet certain standards in energy efficiency. If your back boiler is still working efficiently and this has been confirmed by a technician, the new building regulations do not require you to have your back boiler replaced. The law allows you to keep your back boiler and buy spare parts to maintain it. There are some manufactures who are still producing the spare parts for back boilers. The cost of engineer labor varies from £20 up to £50 per hour and an average time spent engineering will be 1-2 hours. There will be a broad selection of spare parts, which you can obtain. Here is the list for you the most common spare parts and prices for them. As you can see the variation between these services a lot. It is very important to ask for bids number of companies. Alternative, you can use our network of tradesmen to get free estimates. Boiler installation, Combi boiler Boiler Replacement Cost: How Much To Replace A Boiler? Find your project and receive competitive quotes from local professionals.